Dr Kalim has had a long interest in gynaecology and obstetrics. After completing her diploma she went to England to do her MRCOG Part 1 in 2006 and in October 2012 she finished with her FCOG Part 2. In addition, Dr Kalim also obtained her MMed in Obstetrics and Gynaecology at the University of Stellenbosch. Dr Kalim has a deep interest in her patient's health and well being. She has a caring and gentle bedside manner and enjoys a healthy relationship with all her patients. This high regard for the interests of patients ensures Dr Kalim regularly treats them for their second and third pregnancies. 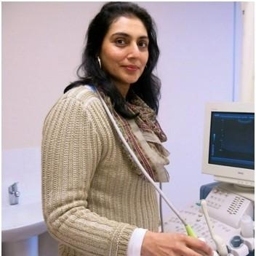 Dr Kalim has a special interest in pregnancies and does all gynae procedures including hysterectomies, myomectomies, sterilisations, laporoscopies etc... We welcome one and all to our friendly practice and hope to see you soon. Top notch doctor, excellent bedside manners and a gentle and caring doctor. The best doctor you would want when you need expert and professional care for your loved ones. Simply Excellent and highly talented. Shes a doctor with true passion for what she does and cares about you as the patient as a person, not just as another consultation. Absolutely brilliant doctor. She is very thorough when explaining to her patients. I highly recommend her. We are contracted in with the following medical aids eg. Discovery (certain options), Bonitas, Fedhealth. Contact us for our private rates.